Since 1977, Woodhaven has been dedicated to providing top-grade lumber for custom home builders, developers, contractors, and homeowners. As we’ve grown, we’ve always had our eye on the future. 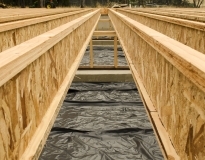 In 1979, we became the first dealer in the region to sign on to carry the Weyerhaeuser Trus Joist family of engineered wood products. Plus, as one of the very first suppliers of Simpson Strong-Tie, we have, by far, one of the largest inventories in New Jersey. 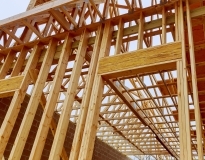 Woodhaven’s Lakewood, Manahawkin, and Point Pleasant locations stock a wide variety of dimensional lumber, including Kiln Dried Doug Fir and Kiln Dried Hem Fir, as well as plywood sheathing, trimboard and underlayment. Our Lakewood facility provides two rail sidings which enable us to receive lumber, sheet goods, and other products direct from the mills in rail-car quantities. 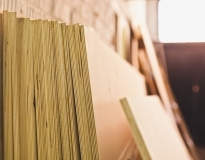 You can trust our knowledgeable staff to help you find the right materials for your project. When delivery day arrives, our large fleet of vehicles – including boom trucks, Moffit lifts and flatbed trucks – will deliver your materials right where you need them. Want to talk about Lumber & Plywood?